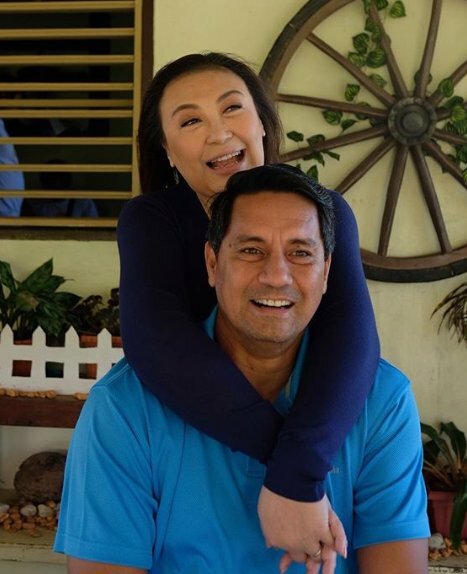 THE SHARON Cuneta-Richard Gomez reunion movie is reported not to have done so well and did not meet the expectations of Star Cinema. This is really surprising since the timing of its showing is quite perfect, what with it opening in time for payday and during a long holiday weekend. So many explanations are now being offered by self appointed, know-it-all pundits as to why the movie didn’t take off at the box office. Truth to tell, some of them are just ridiculous. First, there are those who claim that KathNiel fans boycotted it because Kathryn Bernardo as the daughter of Sharon and Richard in the movie is not paired with her real life inamorato, Daniel Padilla. It’s said the fans hate it that she’s paired with Tommy Esguerra instead. Because of this, there are those who quickly jumped into the conclusion that Kathryn is not yet that big enough to be independent. She cannot stand on her own but still needs a ka-love team, just like in her recent hit with Daniel, “The Hows of Us”. Another theory is that the movie didn't succeed simply because viewers prefer Richard's tandem with Dawn Zulueta, who, likes Sharon, is also one of his ex-girlfriends. Some foks even quipped: "Masyado kasing pabebe si Ate Shawie." The reunion movie of Richard with Dawn, "The Love Affair", then even produced the line "i-Dawn Zulueta mo ako." When shown in 2015 with Bea Alonzo in it, it also did well at the box office. They were also reunited in a TV soap, "You're My Home", and it also did well in the ratings game. Then there are those who claim that the real reason is because there’s a political boycott from those who are against our current president. This is because of Sharon and Richard’s close association with Pres. Duterte, which is quite confusing because there are also those who, in turn, say that it’s the supporters of Duterte who are boycotting the movie because they hate Sharon’s husband, Sen. Francis Pangilinan, who is very vocal in his being anti-Duterte. Duterte even called him a dumb lawyer for authoring the law that prohibits the prosecution of criminals who are still minors. All these speculations are actually sheer nonsense. Just like the remark that Aga Muhlach’s movie with Bea Alonzo, “First Love”, also didn’t do as well as expected at the tills because of his political comments about Trillanes that made prospective viewers boycott the movie. Truth to tell, if a movie is going to be a hit, nothing can stop it from being a hit, not even boycotts and not even force majeure like typhoons or floods. And if the movie is really good, it develops long legs at the box office through word of mouth endorsement, like what happened to “Kita Kita”, which no one predicted would be a monster hit. So if “Three Words to Forever” were any good, we are optimistic that Star Cinema will extend it in moviehouses and it can still attract a lot more prospective viewers in the coming days or weeks.